Founded by Paul David, The Flower District is a local florist that opened its doors in 2006 on the New London Turnpike in Glastonbury, Connecticut. Paul has been creating exquisite floral designs for over 15 years to a vast clientele, as well as setting a standard of excellence within the floral industry. We hope you enjoy your online shopping experience with secure 24-hour ordering right at your fingertips. If preferred, you may call to place orders direct at (860) 633-1965 or 1-877-633-1965. 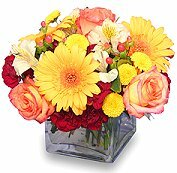 The Flower District is Open to Serve Your Floral & Gift Needs: Monday through Friday 9 am to 5 pm ~ Saturday 9 am to 3 pm ~ Sunday, when necessary for funeral ordered on Saturday. When It’s Time to Plan a Wedding, Party or Any Special Occasion… Let The Flower District do the beautiful flower arrangements and on-site decorating. Call us in advance and schedule a consultation, so we can help you start planning your next unforgettable event! When It's Time to Send Funeral & Sympathy Flowers... Please do not hesitate to call and speak with our courteous and knowledgeable staff. We’ll deliver your preference in flowers or live plants that express your sympathy to the grieving family and celebrate the life of the deceased. 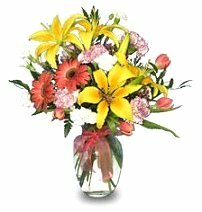 Thank you for visiting our website with flowers delivered fresh from your local Glastonbury, CT flower shop and convenient online ordering 24 hours a day! !